After narrowly outscoring the Crocs in the third quarter, the Kangaroos got back to a 31-point deficit by the final change, but it was a bridge too far and the Crocs took the final quarter, and the match by 40 points to reach the Grand Final. Josh Bollmeyer kicked eight goals for the Crocs whilst James Clarke booted three for the Kangaroos. The first semi-final wasn’t drawn out too far before a result was effectively decided. 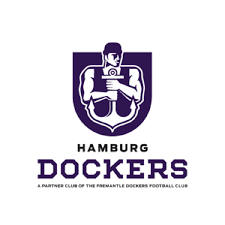 The Hamburg Dockers hammered home eight goals to one in the first quarter and had piled on fifteen to one by the main break. Despite being on home soil, the Rheinland Lions could find few answers to the dominance of the Dockers. The second half was quieter for the Dockers, though they still managed to score heavily enough to win by 134 points and charge into the Grand Final. Kaden Fletcher kicked six goals for the Dockers whilst former Cairns lad (writer’s privilege) Kenny D’Arcy and Sean Gilbert kicked four each. The results set up a fascinating Grand Final. 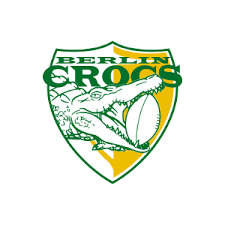 The Berlin Crocs are the current title-holders and have played well enough all year to earn the right to defend it. Their three losses included the two narrow losses to Munich and a heavy loss to Hamburg at home. However, they did defeat the Dockers by a solitary point back in Round 5 in Hamburg, so they know they can do it. Attention will now turn to Dresden for the AFLG Grand Final to be played at the Dresden Ostragehege on Saturday 15th September.